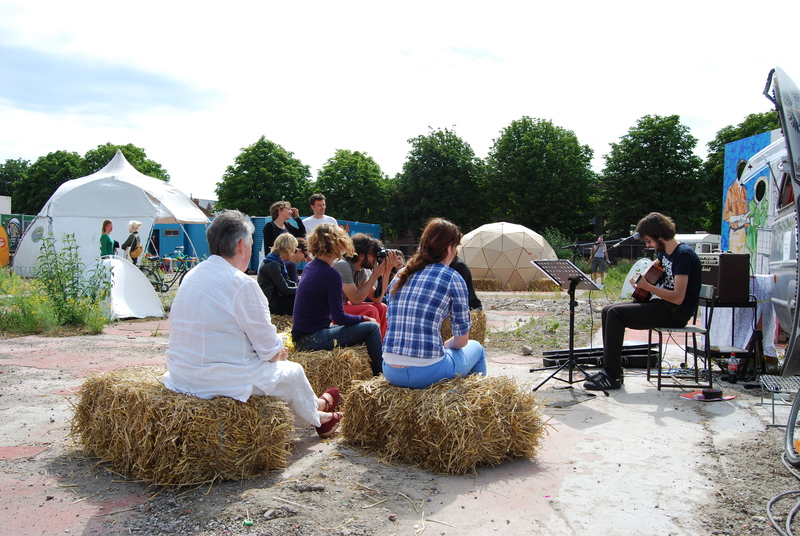 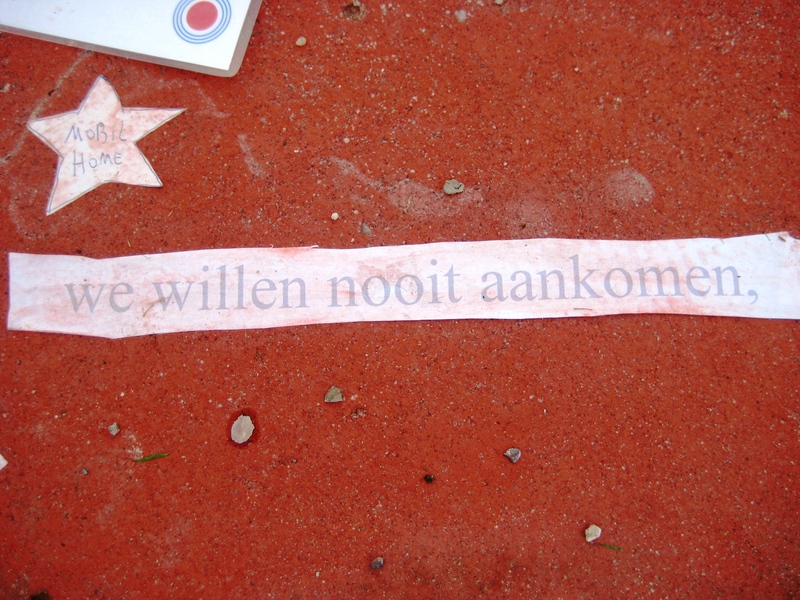 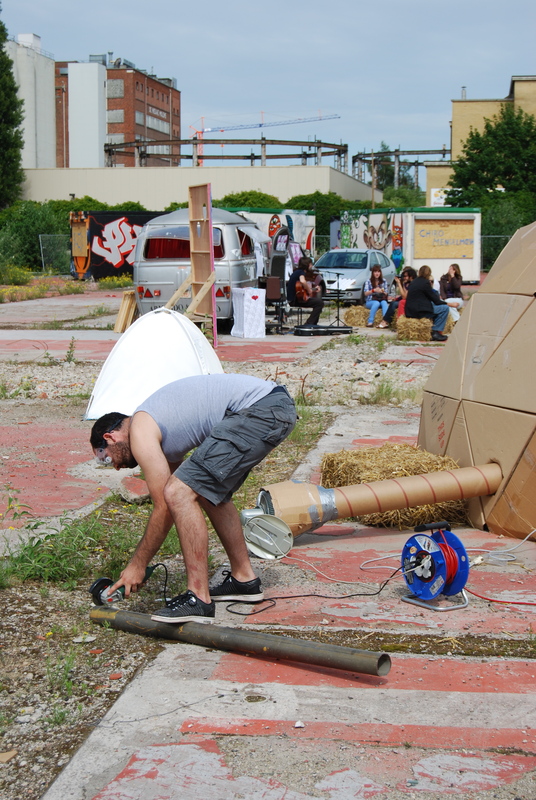 Camping Nomade was a community art project of Rocsa in collaboration with Kunstwerk(t) and Creatief Schrijven. 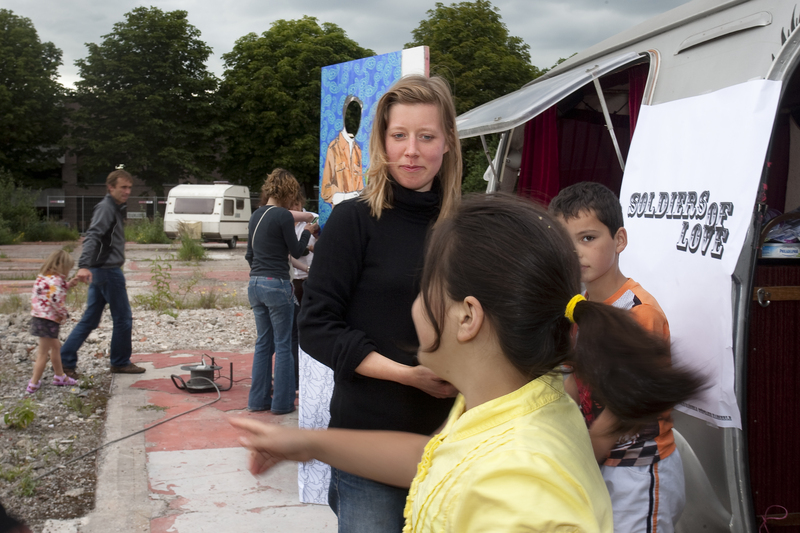 I was hired as artistic coach and coordinator of this project. 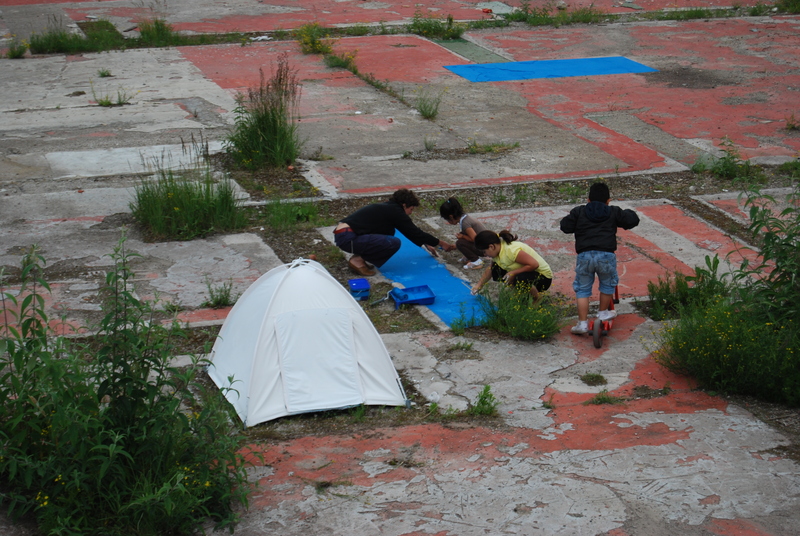 Diversity, creativity, social-artistic research, encounter/confrontation and exhibition are the keywords in Camping Nomade. 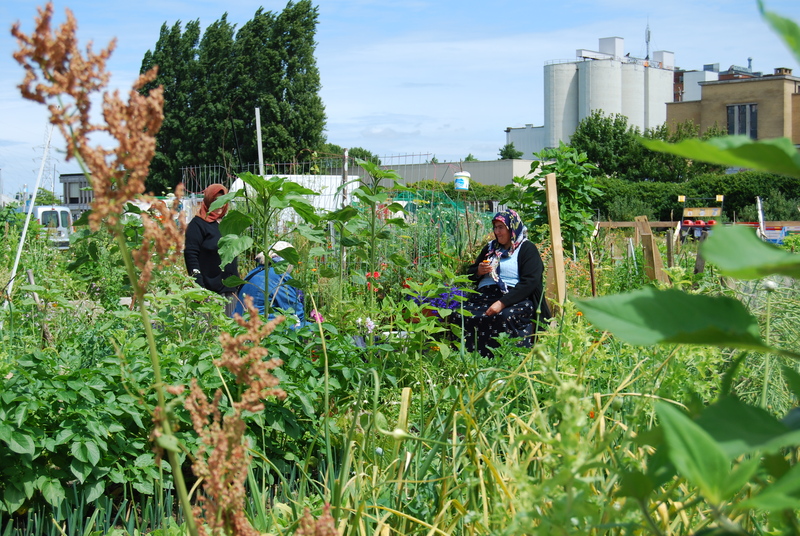 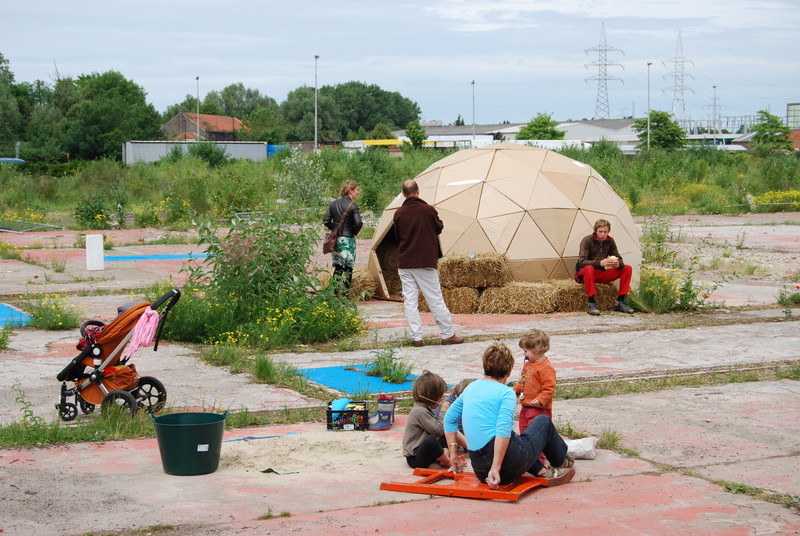 On a vacant space of The Site, a dozen artists settle down accompanied by groups of local residents and inhabitants of Ghent to work together for 2X2 days on a camp of mobile artworks. 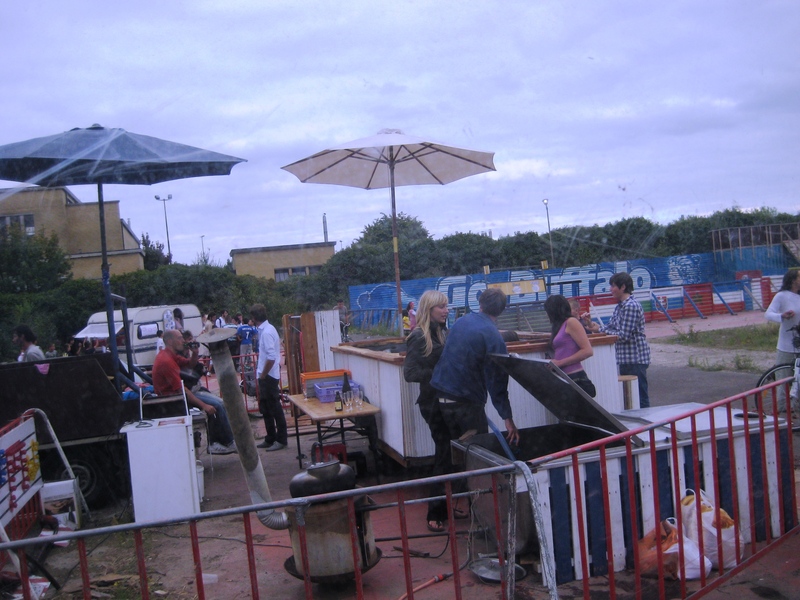 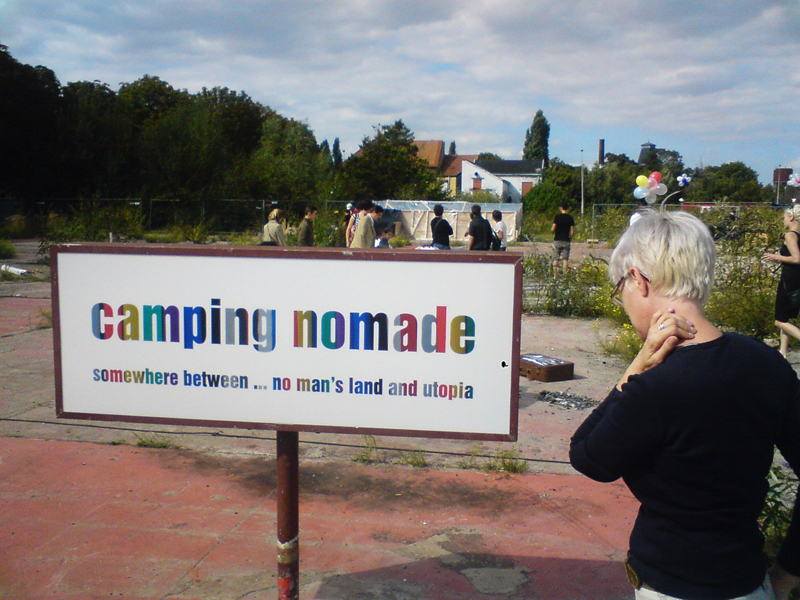 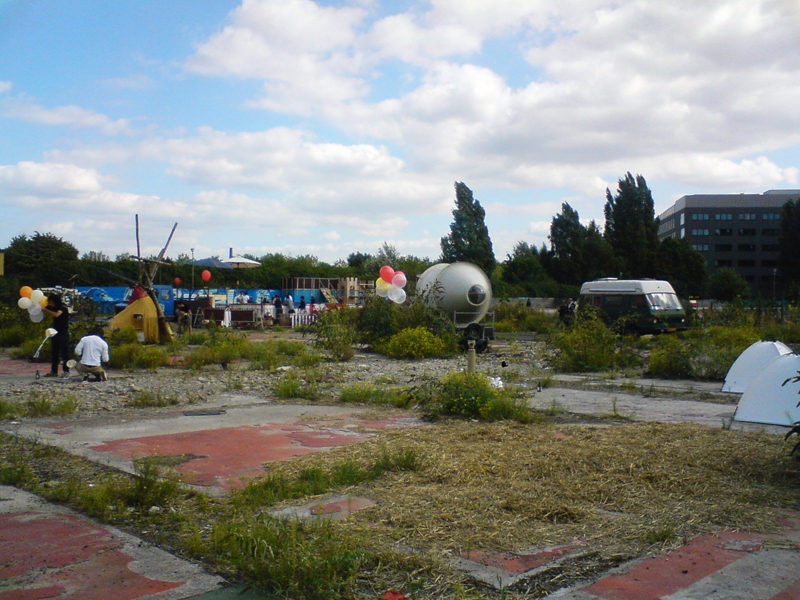 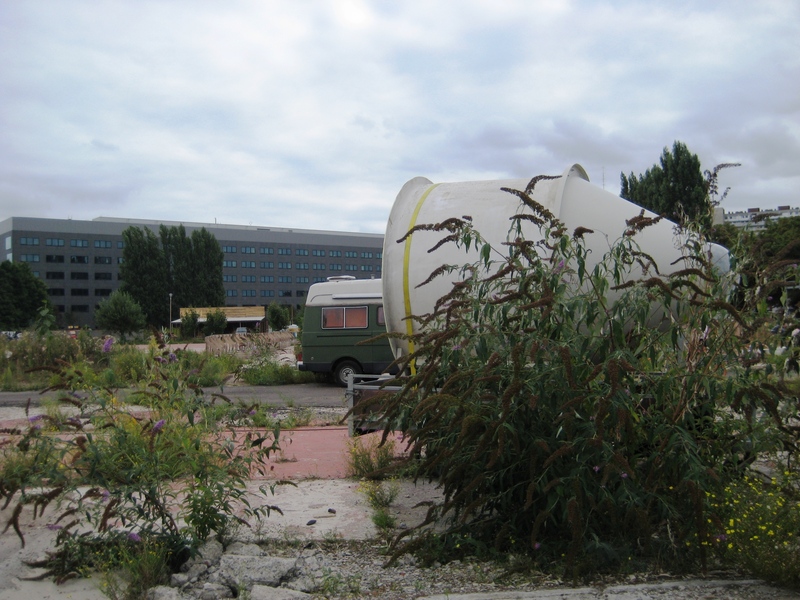 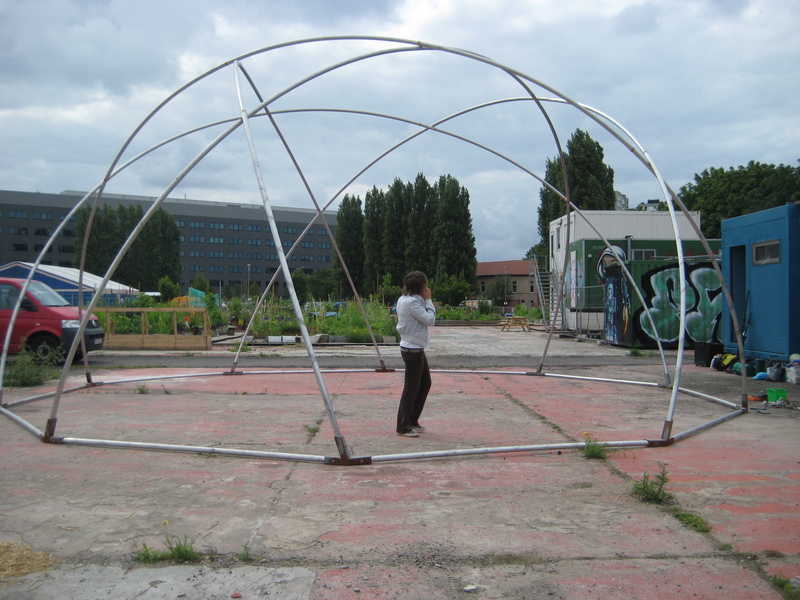 Camping Nomade hereby confirms The Site as a temporary creative ‘here-and-now’ sanctuary in an urban context and aims to provide an open space for a variety of artistic, cultural and social activities. 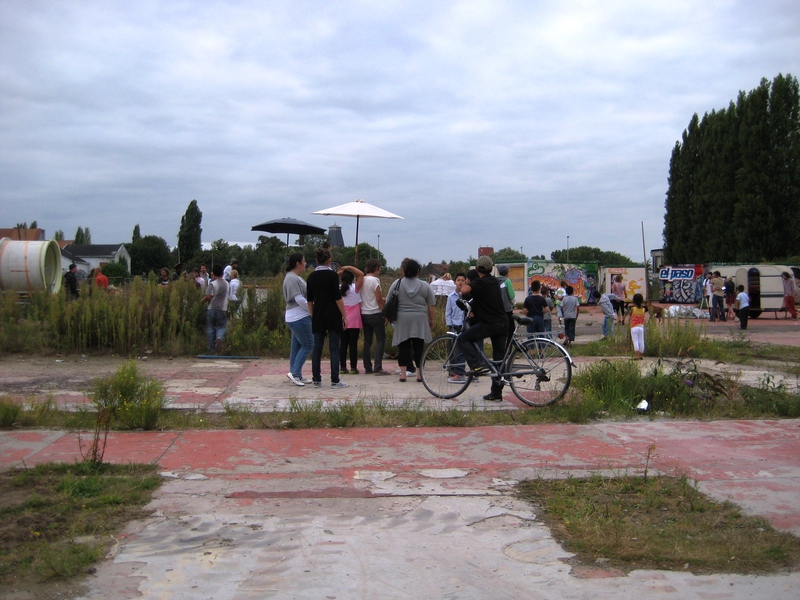 We invite artists to share their creativity and look for what people temporarily (re)connects. 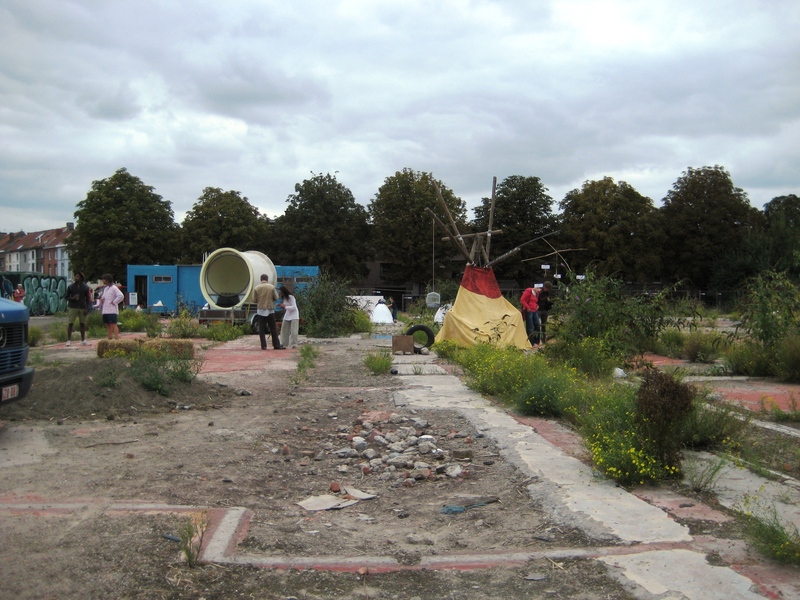 We strive for a perfect utopian ideal without hoping for a dream or a flight, but as a dialogue and a confrontation (a starting point to undertake more action). 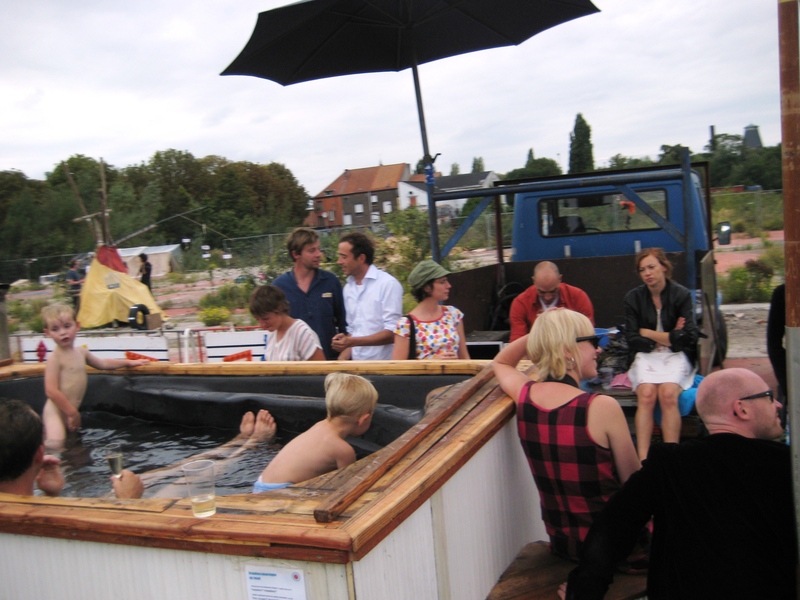 Mira Albrecht, Azura Janssens, Julie Maeseele, Julie Lenaerts, Colin Temple & Fredo Declerq, Samira El Khadraoui, Fré Van Oers, Tessa Groenewoud, Wouter Decorte, Frederic Bonnet, Ibrahim Tiendrebeogo, Ivo Allewaert, Arnaud Coolsaet, Boris Duijneveld, Katrien Baetslé and Zehra Karademir.